Home values are on the rise, the real estate market is getting stronger, and things seem to be getting back to normal in the real estate world. However, recent data shows that more than one-third of all escrows are being cancelled before closing, and some of the busiest real estate agents are noting that today’s pool of buyers seems to be increasingly particular about what they expect from the homes they consider purchasing. For homeowners hoping to sell, this means putting more focus on upgrades, improvements that will provide a return on your investment and giving buyers what they want to increase your home’s perceived value. Of course, if you are planning on putting your home on the market soon, it may not be worth it to dump a lot of cash into improvements that you will not have time to enjoy before the new owners move in. In that case, focusing on a few, specific interior or exterior improvements is likely your best bet. However, if your plan is to improve your home over time in a way that will increase its value and your ability to enjoy your home and yard, then larger projects are more of an option. Even if you never plan to sell your home, you may want to refinance or pull equity out of your home at some point. Considering this — and the fact that a primary residence is usually the majority of an individual’s wealth — increasing the value of your home is always a good idea. Before we jump into some of the top landscaping features for improving your home’s value, I should point out that there are two types of home value: appraised value and perceived value. The appraised value of your home is a more objective estimate of your home’s worth based on size, location, features and other factors. The perceived value of your home is what buyers are willing to pay for your home based on how well it meets their needs and how appealing it is. Some of the following landscaping features can increase the appraised value of their home, some can increase the perceived value, and some can increase both. Let’s first take a look at some of the larger exterior home improvements that can improve your outdoor living spaces, better use the space in your backyard and increase your home’s value. It might seem a little strange to see a garage as a recommendation on a list of top landscaping features to increase your home’s value, but this exterior feature is so important that it needs to be mentioned. Your home probably already has a garage, since most homes in Southern California have one. If you do not have a garage, you should consider building one. Not only will it increase the appraised value of your home, it will seriously increase the perceived value. According to the National Association of Realtors 2013 Home Features Survey, garages are hugely important to buyers and 78% opted for houses with a garage. Also according to the National Association of Realtors 2013 Home Features Survey, two living spaces had the highest dollar value buyers were willing to pay more for in a home: basements and in-law quarters. Basements are not an option for many homeowners in Southern California, and are a huge undertaking and investment that most people are not going to want to take on, but adding some sort of guest quarters is a more obtainable goal. If you have the space and the budget, including a guest house in your landscaping design is a sure way to increase the appraised value of your home and to make your home more appealing to potential buyers. Of course, not everyone has the budget for this type of backyard improvement, but there are other options available that may not impress your appraiser, but could make your home more interesting to buyers. For example, yurts provide an attractive way to increase living space by creating an outdoor room that can be used as coveted guest quarters or to extend your outdoor living areas with a dining room or living room with the benefits of having walls and a roof. Another option you might want to consider is a pre-fabricated sunroom. Far less expensive than building an addition on your home, these affordable sunrooms can be used as guest quarters or a transitional area between your indoor and outdoor living areas. The majority of the home buyers surveyed for the 2013 Home Features Survey reported that they would have liked to have either more or larger closets and more storage overall. Adding interior closets can be costly, but you can maximize your home’s storage by taking advantage of unused space in your backyard and installing a storage shed. Even a small shed increases storage options and is sure to appeal to buyers, so it is okay if you only have a small corner or a side yard in which to locate your shed. 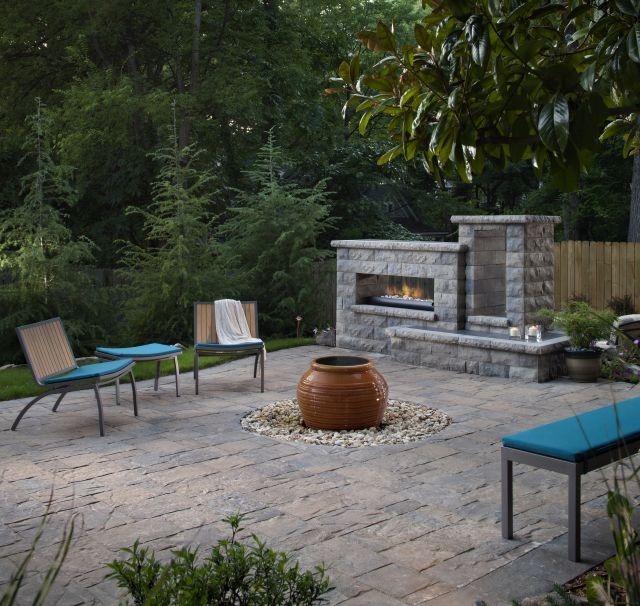 Patios are must-have backyard features. In fact, they are so important that, if you do not currently have one, this is the first improvement you should make to your landscaping. It will greatly improve your ability to enjoy your home and, depending on the type of patio you install, can significantly increase the appeal and value of your home. When making this type of improvement, the materials you use are incredibly important. There is a big difference between a gravel patio with an umbrella, a deck with a fabric canopy and a paving stone patio with a gorgeous pergola. 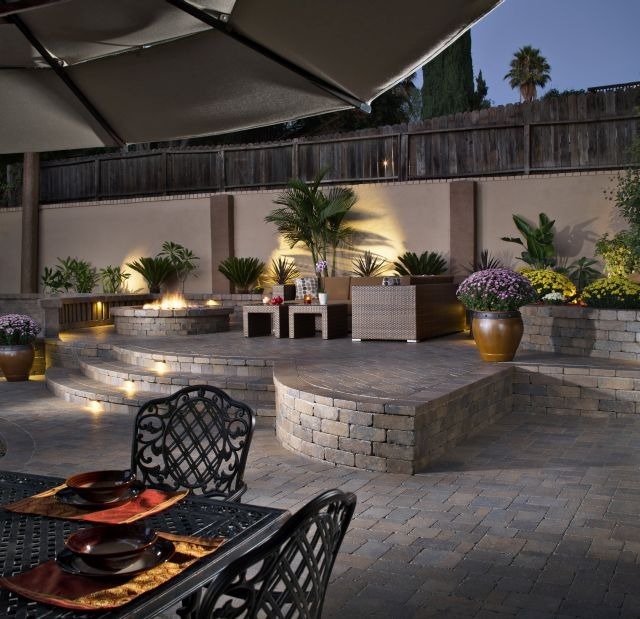 This is one where you will need to choose carefully and should be a good portion of your backyard improvement budget. This is where you are going to grill with friends, relax at the end of the day, watch your children play and enjoy your morning coffee. It is also where potential buyers need to be able to see themselves comfortably doing all of these things. Outdoor kitchens are incredibly popular in Southern California, and most people expect to see them in higher-end homes. Most folks in the real estate business will tell you that your patio cooking area needs to have at least three things to be called a kitchen — as opposed to being considered a built-in barbecue with a little extra counter space. In most cases, a patio kitchen has a cooking surface, a sink, a refrigerator and counter space. Higher-end backyard kitchens sometimes also have amenities like a wine refrigerator or a pizza oven. 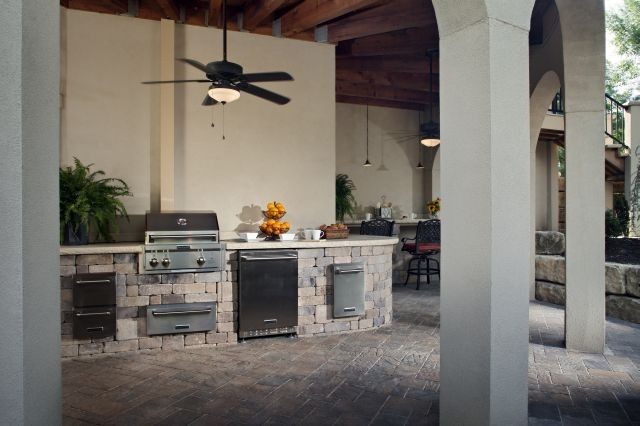 One way to save money when installing an outdoor kitchen is to forgo the sink, which allows you to avoid the expense of running plumbing to your patio kitchen. However, including a sink is sure to increase the appeal and could potentially increase the appraised value of your home if it helps to convince your appraiser to count it as a second kitchen. If you are installing an outdoor kitchen specifically to increase your home’s value and appeal, it is important that you do it right. This means bringing in the professionals and choosing higher-end materials, such as paving stones and stainless steel appliances. 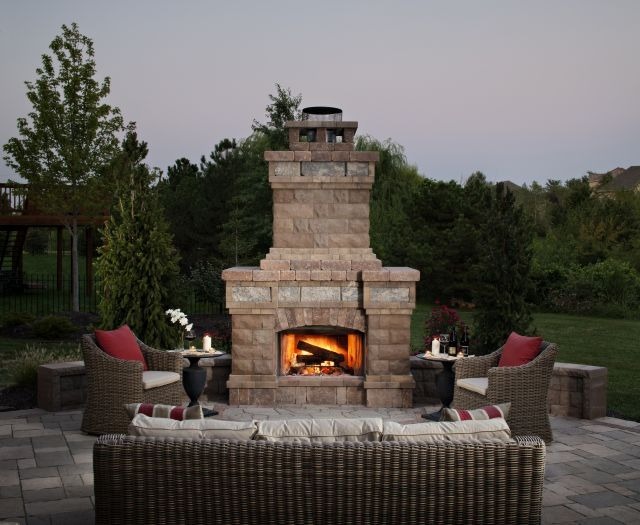 A patio fireplace is the type of investment that you see a return on the first time you light a fire and settle in under the stars to enjoy a cozy evening. Fire features are a great addition to any backyard and provide a place to gather around when entertaining friends or spending time with family. This makes them an investment worth making, even if they did not increase the actual or perceived value of your home. As an added bonus, some appraisers will count a well-designed, permanent outdoor fireplace as an additional fireplace when determining your home’s worth. Home buyers surveyed for the National Association of Realtors 2013 Home Features Survey had one feature they gave the highest dollar value to and were willing to pay the most for: waterfront property. If you do not happen to live on the shores of a lake or the ocean, there is not much you can do about that; however, if there is water within view from your home, you can accentuate that view as much as possible. Clear trees, trim hedges, redesign your fence or do whatever you need to do to emphasize that you have lake or ocean views. A great view — whether it is of water, mountains or a valley — increases your home’s perceived value no matter how far you are from the water, so maximize any view you have to increase your home’s appeal. Unlike the landscaping of yesteryear, homeowners can no longer rely on concrete patios and lawns alone. In fact, natural grass lawns are losing their appeal rapidly, particularly in drought-prone areas like California. 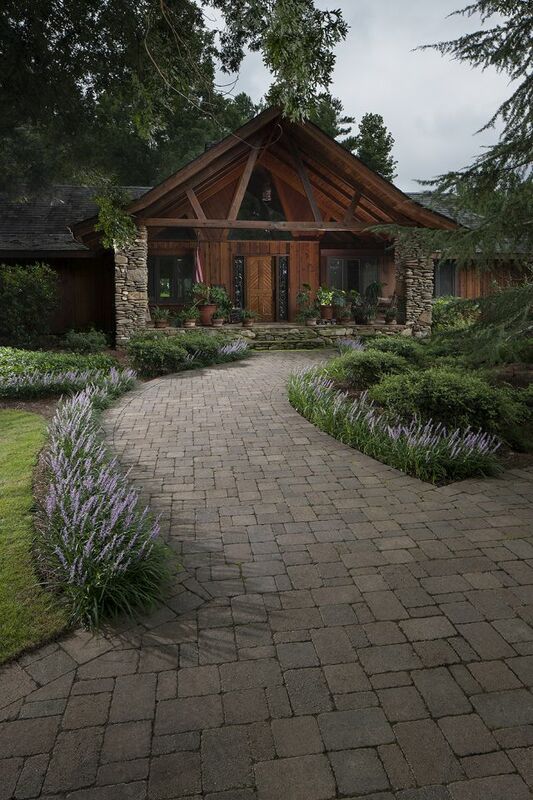 While all we need to do is tour a few upscale neighborhoods to see how drastically landscaping trends have changed, there are also studies conducted by reputable sources — like Virginia Tech and Clemson University — that show just how important landscaping is to home value. When Professor Mark S. Henry of Clemson University published The Contribution of Landscaping to the Price of Single Family Houses: A Study of Home Sales in Greenville, South Carolina, he confirmed what many homeowners have always known: Landscaping can significantly affect the value of your home. Professor Henry found that there were three main factors when it comes to how landscaping can affect home value: the quality of landscaping at the home, the quality of neighboring landscapes and the quality of the landscaping throughout the neighborhood. Unless you live in a community with CC&Rs or a homeowners association, there probably is not much you can do about how your neighbors landscape their homes, but you can certainly do something about the quality of landscaping on your own property. Professor Henry found that upgrading landscaping from average to good increased home prices between 4% and 5%, upgrading from good to excellent increased prices 6% to 7%, and upgrading from average to excellent increased home prices by a whopping 10% to 12%. Work published by Alex X. Niemiera of Virginia Tech (The Effect of Landscape Plants on Perceived Home Value) further examined how the quality of landscaping can affect home pricing and also found that landscape design significantly influences what buyers are willing to pay for a home. Niemiera found that the most important factor in landscape design was design sophistication, followed by plant size, and then diversity of plants. Other studies have reported similar results, which show just how important good landscaping is when it comes to the value of your home. Home buyers appear to particularly like trees, curved flowerbeds and a variety of plantings that extend into the yard (rather than conventional foundation planting). It is very important to note that there is one thing all of these studies have in common: The quality of the landscape installation is integral to increasing home value. This means that spending a little more to bring in professionals is likely worth the additional expense. Professional landscape designers and installers will work with you to create a design that fits your needs and appeals to your sense of style so that the end result will be a visually interesting landscape where you and your family will want to spend time. Whether your plans include a value-boosting paving stone makeover with new patios and walkways, replacing your natural grass lawn with low-maintenance artificial turf or installing island beds to add color to your yard, calling in the pros can help you make your dream yard a reality and create outdoor living areas that you and your real estate appraiser will appreciate.